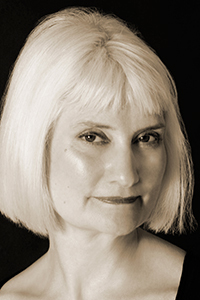 Terese Svoboda is the author of six books of fiction, including the short story collection Live Sacrifice (forthcoming from Ravenna Press, 2017), the novel Bohemian Girl (Bison Books, 2011), and the novel Tin God (University of Nebraska Press, 2006). She is also the author of five poetry collections, including Professor Harriman's Steam Air-Ship (Eyewear Publishing, 2016), Anything That Burns You: A Portrait of Lola Ridge, Radical Poet (Schaffner Press, 2016), and When the Next Big War Blows Down the Valley (Anhinga Press, 2015). Her work has appeared in Conjunctions, The Massachusetts Review, The Kenyon Review, and elsewhere. She has been awarded a 2013 fellowship from the John Simon Guggenheim Memorial Foundation, the 2007 Graywolf Press Nonfiction Prize, and a 2003 Pushcart Prize.